Last week, I shot for the New York Daily News. 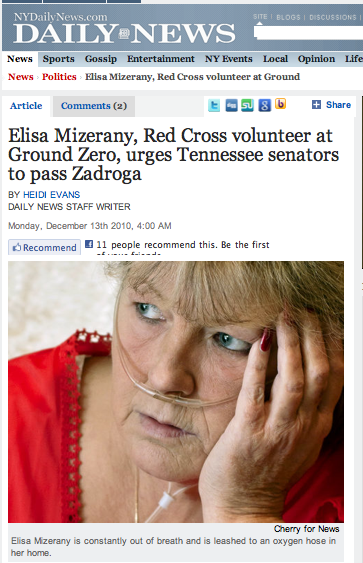 It was for a great story about a bill to support the medical bills of 9/11 responders, the Zadroga Bill. This is from the perspective a Tennessee woman who is slowly dying from her ailments received from working at ground zero after the terrorist attacks in New York City.